We are a Nurse Owned Nurse Operated Healthcare Staffing Company with over a decade of relevant medical industry experience and with a combined 20 years of staffing experience. 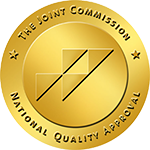 We are certified by The Joint Commission. The founders are a team of nurses who understand how hospitals, retirement facilities, and small clinics work. 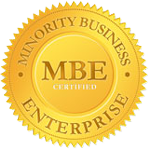 They have experience in emergency rooms, surgery, and intensive care units first hand. The original mission of Nurses First Solutions was to provide quality nursing staff to facilities in need of this professional workforce. However, we soon discovered that there was a huge demand for all kinds of Allied Health Professionals such as pharmacy technicians, physical therapists, dental assistants, etc. Today we have a large pool of candidates from all medical occupations. We pride ourselves on finding the best jobs for the most qualified individuals using an extensive interviewing and screening process. With the elderly population increasing and millions of people finally getting access to health coverage, we strive to make sure that everyone is cared for in this industry.